Is This New City Of London Skyscraper A Tulip Or A Fungus? M@ Is This New City Of London Skyscraper A Tulip Or A Fungus? 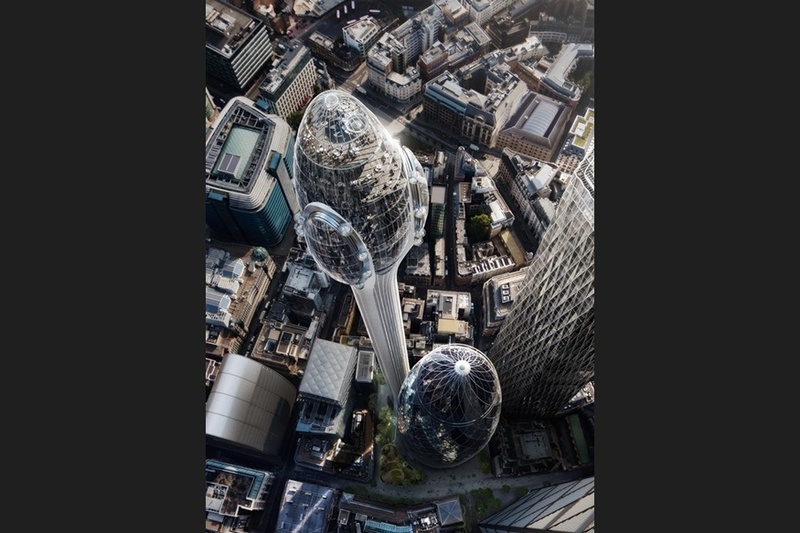 London's latest novelty skyscraper plan is a giant tulip. 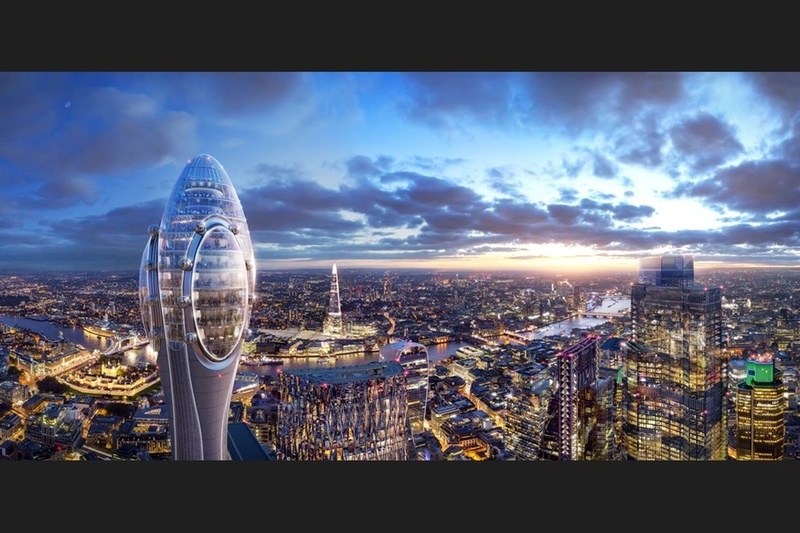 The proposal, by Foster + Partners, would plonk a 305 metre observation tower next to the Gherkin (designed by the same architects). That height would make this the tallest structure in the City of London, and just a fraction shy of the country's tallest building, the Shard (weirdly shrunken in the image below). The tower's apex offers striking similarities to the Gherkin. 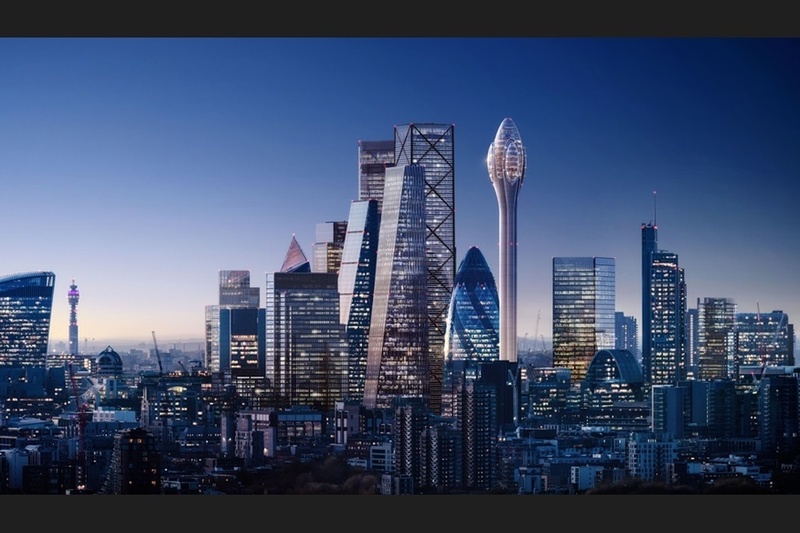 In one render it resembles a fungal growth, pushing out of the older skyscraper like a fruiting body laden with spores. But call it The Tulip if you must. Why we're calling this one The Fungal Growth. Image DBOX. The planning application calls for a public roof terrace, bar, restaurant and 360 degree viewing gallery. It has to be tall. The growth of the Square Mile is such that once lofty towers are now lost in a crystal forest. Still, this peeking polyp might serve as a useful signpost for anybody looking for the now-obscured Gherkin. If approval is granted, the scheme could be built between 2020 and 2025.